The first thing I tried baking in my new place was, one of my favorites, pound cake. I’ve tried a number of different pound cake recipes in search of a favorite – CakeLove: How to Bake Cakes from Scratch, Martha Stewart, William Sonoma and Food Network. But I think the best recipe I’ve tried so far is from Sur La Table’s The Art and Soul of Baking (the last time I made it was for my Red, White and Blueberry Trifle on July fourth). So when testing the oven I wanted to make something that I’ve made before and that I know is great, but I wanted to experiment with the flavor a little. I’m not a lemon person (I can’t stand strong lemon tasting desserts), but I’ve had some excellent lemon pound cakes before – just a little hint of it can be extraordinary. After some tinkering, this method gave me just the right amount of lemon. 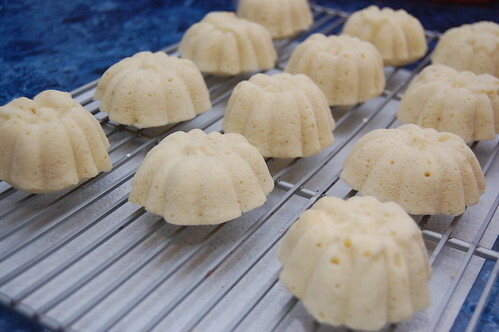 I poured my batter into a mini bundt pan (it was actually a mini pumpkin pan from Williams-Sonoma, but it’s basically the same as a mini bundt pan), and I baked it for about 18 minutes at 350 F. Be careful and watch the timing – the cakes will dry out more quickly when cooked in minis instead of in a loaf pan. 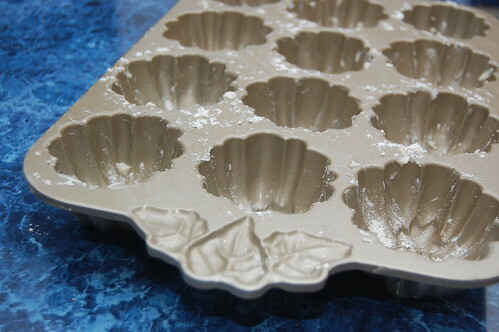 A toothpick inserted in the center should come out clean and the top should be firm to the touch, but the cakes will still be very blonde instead of golden. If you don’t have the Art and Soul of Baking (please buy it! ), you can find the complete recipe on TheCityCook.com. Instead of 1 tablespoon of pure vanilla extract, use 1/2 tablespoon of vanilla and 1/2 tablespoon of pure lemon extract (still use the vanilla bean pod, though). Leave the other ingredients unchanged. 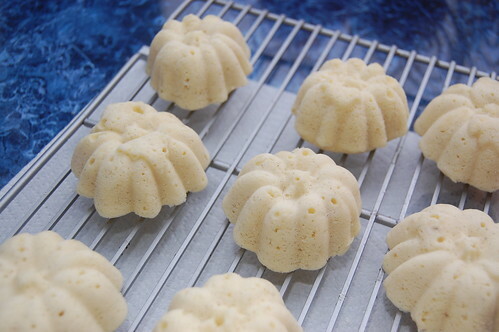 When the pound cakes are baked, poke multiple holes in the cakes and, using a cooking brush, brush cakes lightly with additional drops of lemon extract. Check it out! « Happy Birthday, Chef Edwin! I've been making lemon (and clementine!) shortbread cookies all week. I have several lemons in my fridge that I need to use soon. 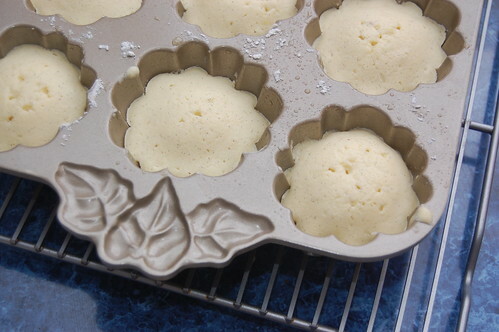 These cakes look so pretty I just may have to try them out!